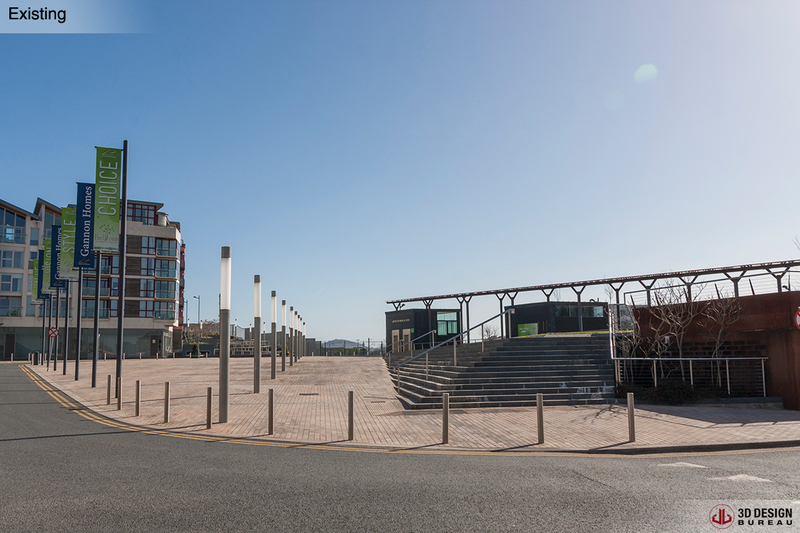 Clongriffin is a large mixed use residential district located in North County Dublin. 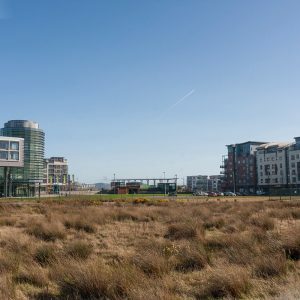 In recent years, the area has undergone massive transition, with Clongriffin town being the master plan vision of Gannon Homes, who have invested significantly in transport infrastructure, community and recreational amenities. 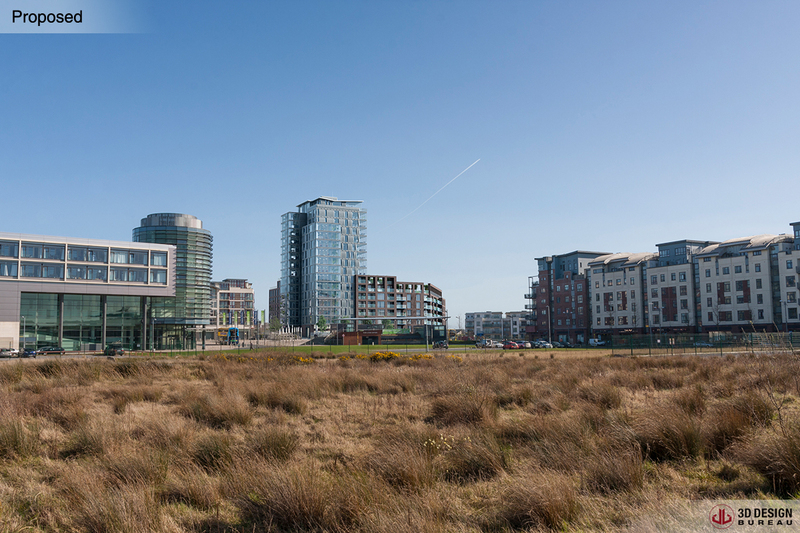 Development at the Clongriffin site stalled for many years during the recession but now things are starting to pick up once again, focus has been placed on this district in order to bring the original vision of Gannon Homes to its ultimate reality. 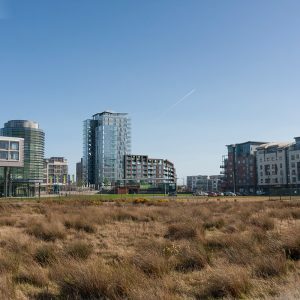 “ Clongriffin is a large mixed use residential district incorporating a new town centre at the east end of the North Fringe, bounded by the Dublin-Belfast railway in the east, and where a new railway station is under construction. Pedestrian desire lines through the site generated the route layout and open space network. The major pedestrian route runs diagonally from Fr. Collins Park to the town centre. The major vehicular routes run east-west to the town square, to the north and south of the Park. Local parks of varying size and function give character and identity to the residential districts that are formed by these movement spines. These consist of a series of residential perimeter blocks, increasing in density and height towards the town centre. The design of the town centre consists of urban perimeter blocks defining a strong building line with active frontages and a fine grain. 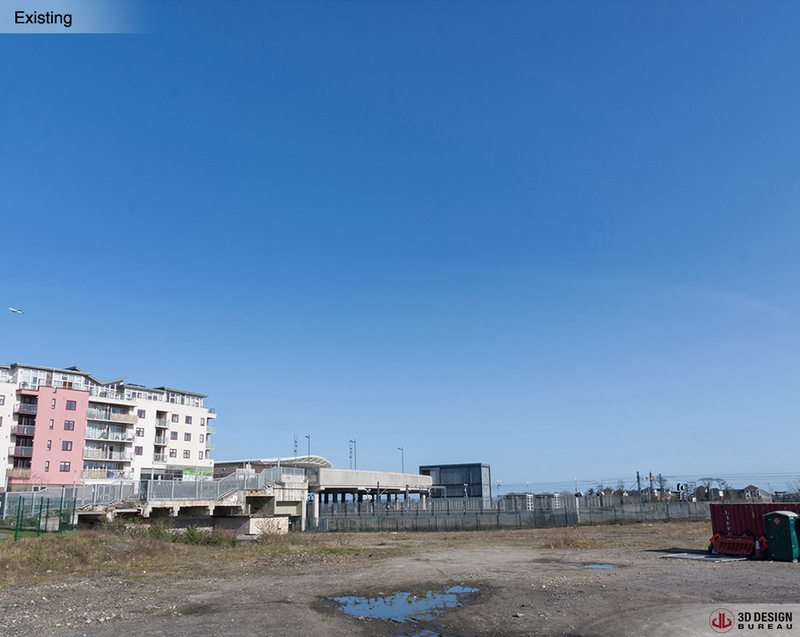 Currently, the town is undergoing a second phase of major development. 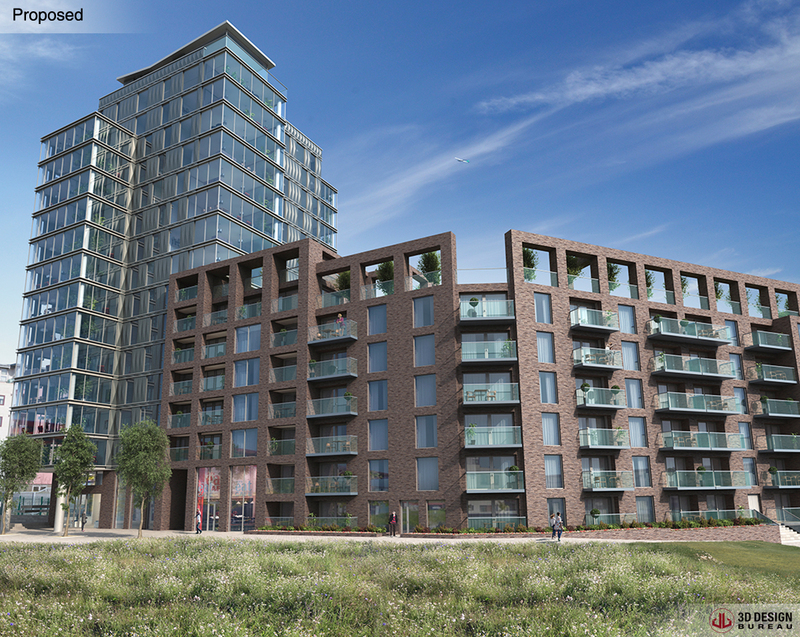 #Team3DDB produced a series of verified view montages & close range CGIs for Block 17 of this development. The images produced were used to successfully secure planning. 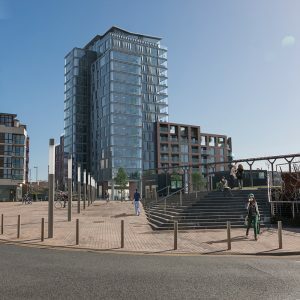 The scheme will also include ancillary common facilities including meeting rooms, gym, cycle park, concierge, entrance courtyard and roof gardens; 5 retail units (c.427 sqm total); and with 139 car spaces and ancillary engineering facilities at basement level; ESB substation and provision for antennae at top roof level. 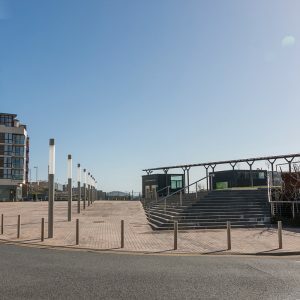 All comprised in a building ranging in height from 6 to 16 floors accessed from Station Square, Station Hill and Dargan Lane, Clongriffin with parking access off existing Block 16 down ramp from Dargan Lane. Architect: Conroy Crowe Kelly was established in 1986. It is a Dublin based practice with considerable experience in health, residential, large scale mixed use development and urban based projects. The work of Conroy Crowe Kelly has featured in several RIAI Housing Exhibitions as well as in the ‘The New Housing’ book published by the RIAI in 2000. Property Developer: Gannon Homes was founded in 1984. Gannon Homes is involved in building, managing and letting residential developments. 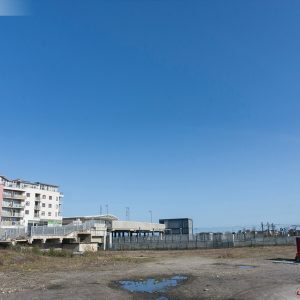 Many of these are multi-purpose developments incorporating retail and commercial elements to maximise space, tax efficiency and functionality of the project. 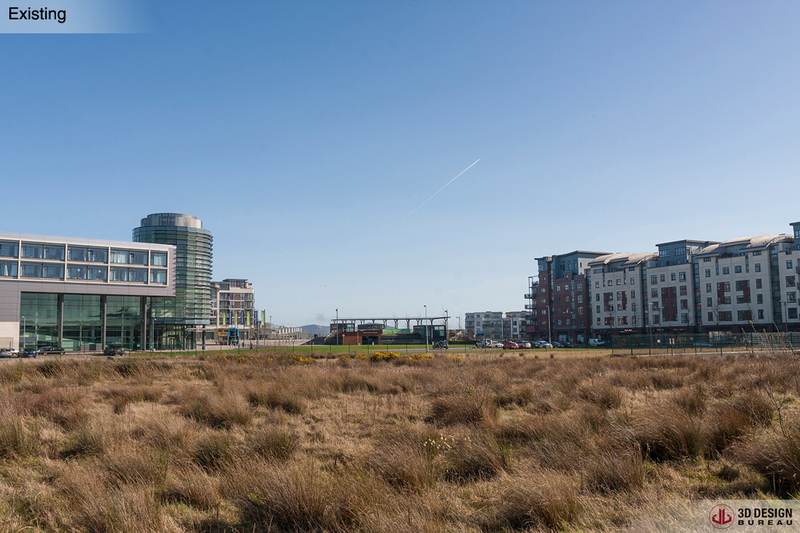 To date Gannon Homes has built upwards of 10,000 homes in the Dublin area. 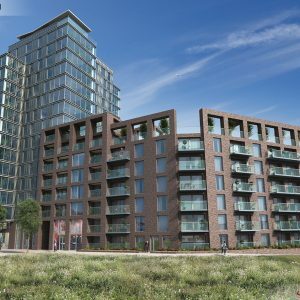 CGI Consultants: 3D Design Bureau are specialists in Architectural Visualisation, BIM and VR – We Deliver Superior Design, Planning & Marketing 3D Solutions. For this project, we provided a series of verified view montages. 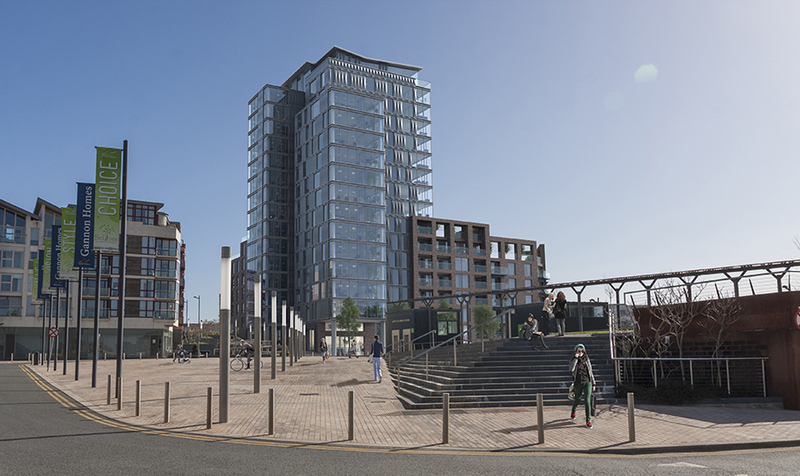 Verified view montages help planning consultants write an accurate report based on the visual impact a development may or may not have on the surrounding environment. They are a crucial element of any visual impact assessment. The images are being used to secure planning. 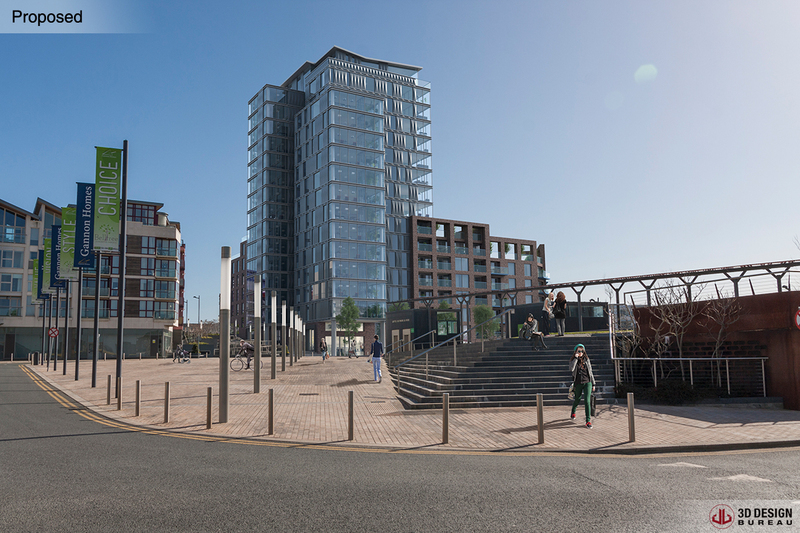 If you have a project requiring Verified View Montage’s, CGI’S or any of our deliverables, please get in touch. You can contact us by phone or email and talk to us about your requirements and the solutions best suited to your project. +35312880186 info@3ddesignbureau.com. You can also check out the rest of work online.